In a craps game, players place bets on the outcome of the roll of the dice. The shooter is the player who rolls the dice. Every player at the table is given the chance to roll the dice. As the game begins, the shooter makes either a pass line bet or a don’t pass line bet. Other players at the table also make bets. The shooter then rolls the dice and the first roll of dice is known as the come-out roll. The Come-Out Roll: If the come out roll is a 7 or 11, then the pass line bet wins and the don't pass bets lose. If the come out roll is a 2, 3 or 12, then the pass line bet loses and the don't pass line bet either wins or ties. If the come out roll is a 4, 5, 6, 8, 9 or 10, then that specific number becomes the player's box point. The shooter rolls the dice until he or she rolls the point number or craps out by rolling a 7. If the box point number is rolled, then pass line bet wins and don't pass line bet loses. If a 7 is rolled before the point number, then pass line bets lose and don't pass bets win. Pass Line Bet: When a player places a bet on the pass line, it means he is betting that either a 7 or an 11 will be the come-out roll. If a shooter rolls a 7 or 11 on the come-out roll, money is doubled. If the shooter rolls a 4, 5, 6, 8, 9 or 10 instead, then a point is achieved. If the shooter rolls a 2, 3 or 12 on the come-out roll, then the player loses the pass line bet. Don't Pass Line Bet: These bets are just the opposite of pass line bets. When a player makes a don't pass line bet he is betting against the shooter. He wants the shooter to roll a 2, 3 or 12 on the come-out roll. And if a point results on the come-out roll, then the player’s goal is to want the shooter to roll a 7 before hitting the point number. Come Bets: A player can make a come bet on any roll of the dice. If a shooter rolls a 7 or 11 after a come bet, the come bet wins. If the shooter rolls a 2, 3, or 12 after a come bet, the come bet loses. If the shooter rolls any other number, all come bets are moved to a small number on the table. If that number is rolled before the shooter rolls a 7, then come bet wins. If the 7 is rolled before the number, the come bet loses. Don't Come Bets: These bets win, if a shooter rolls a 2 or a 3 after a point has been obtained and a roll of 12 results in a tie. If a 4, 5, 6, 8, 9 or 10 is rolled, then a seven must be rolled before that number is repeated again, for the don't come bet to win. Place Bets: These bets are placed on a 4, 5, 6, 8, 9 and 10. You are betting that the shooter will roll your number before rolling a 7. Lay Bet: This bet is just the opposite of a Place bet. You are betting that the shooter will throw a 7 before throwing your selected number. Field Bets: The field bet is a one-roll bet that the next roll is a 2, 3, 4, 9, 10, 11 or 12. Big 6 Bet: The Big 6 bet pays even money if a 6 is rolled before a 7. Big 8 Bet: The Big 8 bet pays even money if an 8 is rolled before a 7. Craps is a complicated game if you do not opt some craps strategies for playing. So before risking your money on a losing bet, opt for some craps strategies that can help you win more and lose less in the game. The basic craps strategy that will help you to play craps is to always set a goal on what you want to win and how much you are willing to lose. Money management is another important strategy when playing craps. Don’t ever bet the money that you cannot afford to lose. Another important craps strategy to be followed is that while placing bets, choose the bets with lower house advantage. Another popular craps strategy is to always keep in mind the best and the worst bets. Some of the best bets are the pass bets, don’t pass bets, come bets, and don’t come bets with relatively lower house edges. Another popular craps strategy is to go for Progressive Betting. After placing your bet, for each roll you win, increase the current bet by that initial one and every time you lose, bet the current amount minus the initial one. In this way you can keep a balance between your winnings and loses. 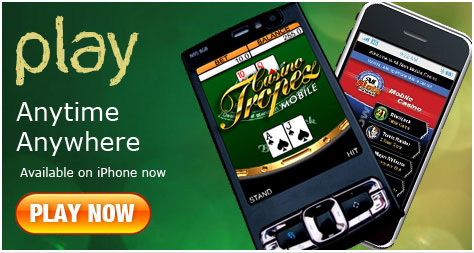 Bonus: 100% Up To $3000 At Casino Tropez, we offer an online Craps Games with welcome bonus $3000 and more than 100 games. Play and Enjoy craps.